Upon the coming of the New Year, we offer our greetings and wish God’s blessings to all the members of the Brothers of Charity community, and to the congregation. May all brothers and sisters in Christ are filled with the Grace of God in life and on the way of serving others. Wish all of you a Happy New Year! God Bless! First of all, on behalf of SHIJIE CHARITIES (SHIJIE in short) which is the Catholic Social Service Center of Taiyuan Diocese, I’m very glad to write this letter to all of you the Brothers of Charity, please allow me to express our thankfulness to all of you especially to all the members of the community in China, and to the Congregation, thank you so much for all your effort for the promotion and the development of the entire social work of Taiyuan Diocese in the past few years, and your devotion, enthusiasm, dedication, passion, support and cooperation in all the projects, as well as all the efforts in serving and accompanying the people in needs whom are neglected. We are granted by God’s favour that since December 2014, Brothers of Charity and SHIJIE have successfully started and operated the project “the Family of St. Vincent” in Wufuying and Xiaodiao, and ongoing construction for the Old people. I believe that all the experiences in the process of our cooperation are in God’s great will. 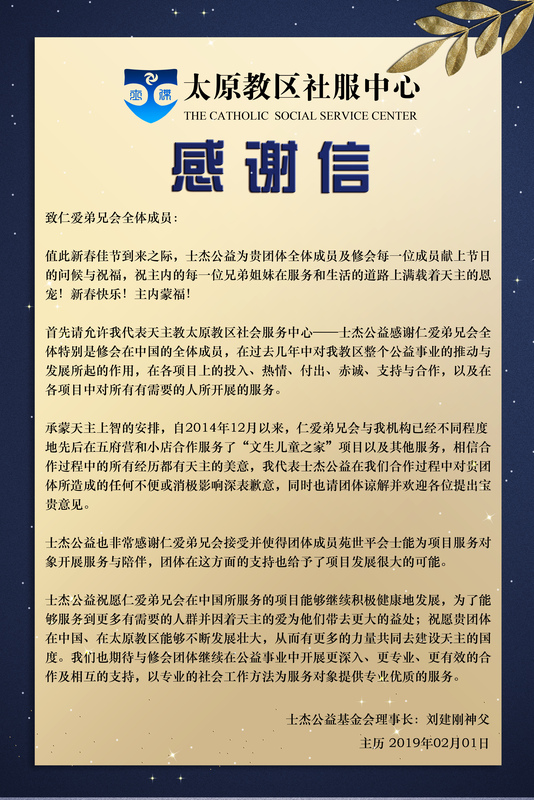 On behalf of SHIJIE, I would like to apologize for any inconvenience or negative impact without any bad intention however caused on the community or the member of the community by us. We ask for your forgiveness and please let us know your valuable suggestions and comments. On behalf of SHIJIE, I am very grateful to the Brothers of Charity that allows Brother Joseph, Yuan, Shiping and makes him be available to serve the needs of the students in the Family of Vincent and accompany the kids. The support of the community provides lots of possibilities for the project to develop. 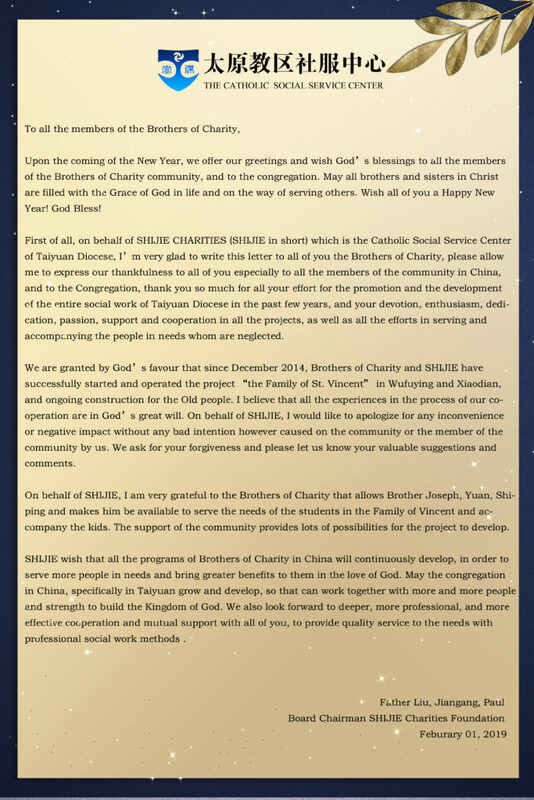 SHIJIE wish that all the programs of Brothers of Charity in China will continuously develop, in order to serve more people in needs and bring greater benefits to them in the love of God. 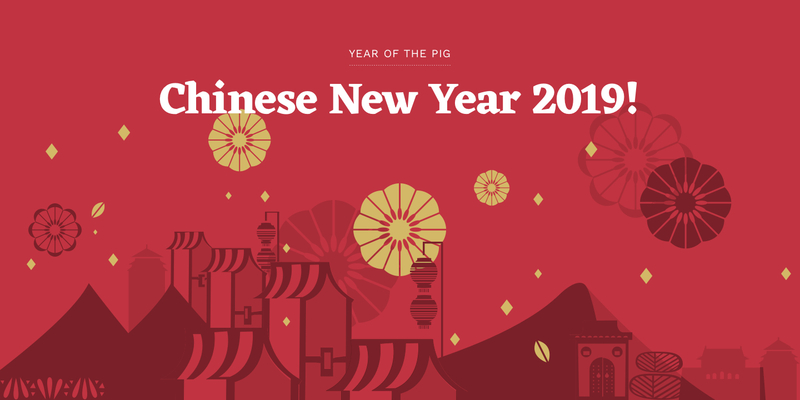 May the congregation in China, specifically in Taiyuan grow and develop, so that can work together with more and more people and strength to build the Kingdom of God. We also look forward to deeper, more professional, and more effective cooperation and mutual support with all of you, to provide quality service to the needs with professional social work methods .